The water cycle is fascinating isn’t it Karen? The fact that most of our weather comes from the west, there is indeed a very good chance that that little drop of water or one very like it at least, could land at my feet. Oh goodness, that sounds terrible, Adrian. I guess you live on high enough ground? There are many places in the world that will be vulnerable to rising ocean levels and unpredictable weather. I hope the sun comes out soon! once in a body is the real meaning of the eternal life. I think. That’s an interesting way of looking at it. I suppose there are bits of us around for a good long time! Thank you for your hint to Ocean of Life by Callum Roberts. Of course I will buy it soon. In the morning I had forgotten to publish the article I had prepared for World Water Day, so I just could add a note about this book for my readers. Hi Heidi, If one other person reads this book I’ll be happy! Thanks very much. Let me know what you think. As someone who works in conservation and just seems to always be drawn to bodies of water, this day is an important one in my book! Yes, I agree. I’m glad you commented – keep up the good work! Yes, my water drop is your water drop. We’re interconnected, and sacred 🙂 Thanks for this post Karen! So true. 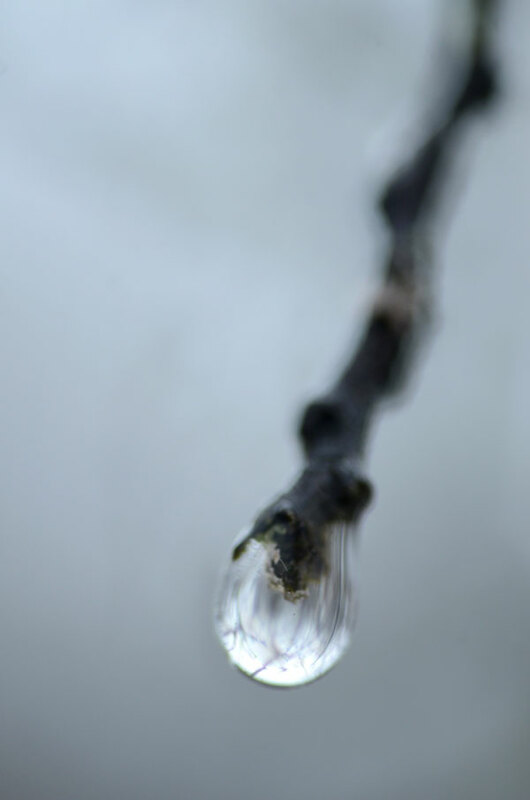 Our water is so much more than drips and drops from our faucets. I just wanted to drink that little drop of water – it looked so pure. I must always live near water. Don’t necessarily feel that way when we get hurricane warnings of course. Thank you, Phil. Yes, living near water feels essential. But I suppose being near the ocean has a few hazards, too. The delicate balance we live in with this beautiful World! Thanks for your nice comment, much appreciated. So beautiful and impressive scene…a water drop looks like small earth. World water is a very very important natural resources…Thank you for sharing, Karen. Yes, very important! Thanks very much for your nice words. Beautiful shot, Karen. The book looks very interesting too. The book is fascinating, Richard. I hope you get to read it. If there is magic on this planet, it is contained in water (Loren Eiseley). Beautiful, and vital. I will add the book to my list! I love that quote, Emily. Thanks for that! Beautiful image and important reminders in what you wrote, Karen. I was just walking in the rain this morning thinking about the amazing journey of every single drop of rain that found it’s way to land on me.